I have a Yamaha VX Cruiser with the HO engine and upgrades like cruise control and reverse. The other is the Yamaha GP1800, which has the SVHO engine and is very powerful (it's designed for racing). Experienced riders only person please as the GP1800 would not be safe for a novice. Deposit is negotiable based on experience and renters are required to pay an insurance premium of $80/day. Adults only unless a permit is presented at time of rental and qualified adult supervision will be on-site the entire time. 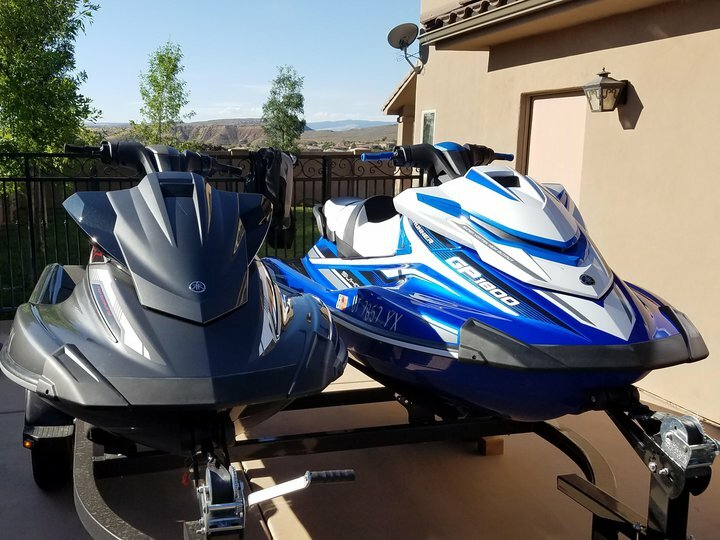 Must rent both jet skis together.